Is Genesis History? asks more than a simple question. It asks the viewer to consider competing paradigms: deep time vs. rapid change, evolution vs. Genesis. The movie is more likely to support a Christian’s existing belief in a literal six-day creation rather than convince someone that the Biblical account of creation is historical. 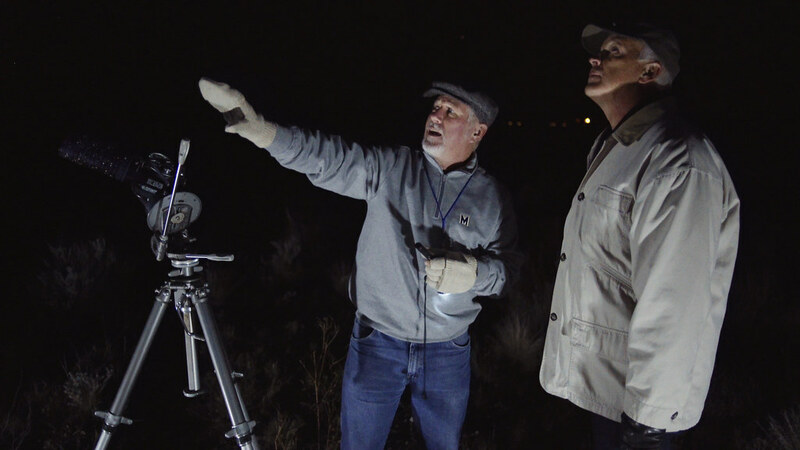 Throughout the film Del Tackett interviews scientists who explain why the Genesis account of creation is an historical event and not a poetic or mythical interpretation of cosmic origins. I first heard about Is Genesis History? at church one Sunday morning. I’d given some thought to seeing the movie in the theater but the closest screening was an hour away on a week-night. I decided to eventually stream it online. I was recently asked to review the film and provided a review copy. Along with the review copy I can giveaway one DVD. Leave a comment below and you could win a copy of the DVD. I’ll draw a winner live on my YouTube channel Sunday, April 30, 2017 at 9 p.m., ET. Throughout my 29 years as a Christian, I’ve struggled to reconcile the Biblical account of creation with what modern science teaches about the billions of years needed for cosmic and biological evolution. To be honest, I’m skeptical of both. While I lean towards the Biblical account being historical, I often find myself pulled toward the scientific evidence that supports deep time and directed evolution or a special creation. This always puts me in the peculiar position of arguing for both sides of the debate. Before addressing the content of Is Genesis History? I want to first take a moment to discuss the film-making. Christian films are notoriously seen as low quality but this film holds its own against many other documentaries I’ve watched. The soundtrack and sound design are excellent. At no time did I find it hard to hear what people were saying. The audio is clean and the deep bass you hear in so many films (even documentaries) that tends to make dialogue sound muddy wasn’t present. 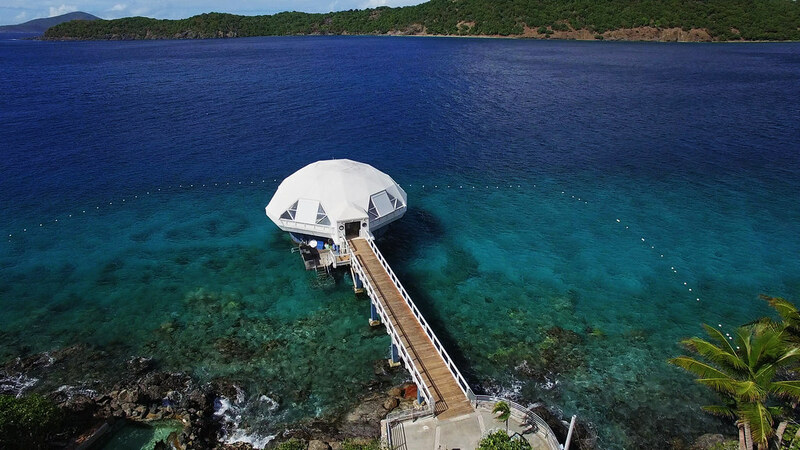 There’s beautiful scenery throughout the film and some of the drone footage is spectacular. The graphic art and animation used in the transitions and as illustrations are professional and well-executed. Overall, Is Genesis History? is a high-quality, professionally produced documentary that presents its point of view expertly and should be used as an example for future Christian documentaries. Del Tackett narrates and guides the viewer through an overview of the arguments for and against a literal six-day creation. 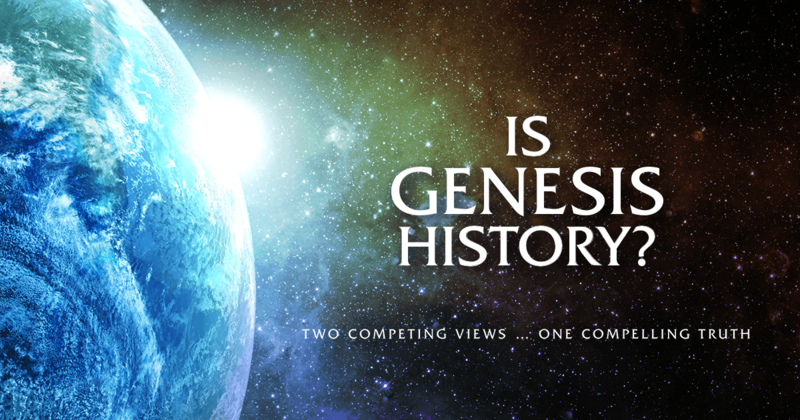 Although the title is a question it could more accurately be made as a statement: Genesis Is History. In the PDF guide for the film, it’s stated at the beginning, “The film compares two views of history.” I actually think it presents one view (six-day creation) while arguing against another (deep time). There were no interviews with Christian scholars who don’t believe the Genesis account should be interpreted literally. Equal time was not given to both points of view so I don’t feel like this is truly a comparison. Additionally, I found some of Tackett’s questions to be a bit leading at times. Rather than asking an open-ended question he leads the interviewees in one direction. That’s to be expected since the scientists interviewed all appear to hold to a literal reading of Genesis. Some of the arguments against evolution were a little imprecise. One scientist stated that evolution requires “uniform change” although many evolutionary scientists recognize that rapid change has occurred and is necessary for adaptations. There were no women interviewed in the film. This is a glaring omission. Women have made great scientific discoveries and contributions to our society and it shouldn’t have been hard for the producers to find at least one female scientist who held the belief that the universe was created in six days. I did find a few ideas that were presented I’m still reflecting on. The first is that the Bible records events but doesn’t explain them and that our explanations often depend on the paradigm we’re using to view the Bible. The second was that we can’t extend the present to the past. The idea here was that the way our world appears now and some of the systems we see in our world today can’t necessarily be used to interpret past events. These ideas are worth pondering and left me asking myself even more questions about the theories presented in the film. Is Genesis History? will not convince the skeptic that the Biblical account of creation is true. It might lead them to look a little bit deeper into the evidence for a six-day creation and global flood but there’s no smoking gun that will definitively convince someone that what we read in Genesis is historical. The film doesn’t delve into “crunchy” scientific facts, that’s not its purpose. It presents a general overview that will encourage many believers’ pre-existing belief that God created man, animals, the earth, and our universe in six days and said it was good. Is Genesis History? is currently available to purchase or on-demand through many online retailers and services like Amazon and iTunes. A complete list of retailers and on-demand streaming service is available here. John you know that I take the early Church (Orthodox Church) view of things- the idea of a fundamentalist view of a literal Week long creation is relatively new on the scene and that is why I don’t trust it. In my view, treating the Bible as a science book is making atheists of our young people.